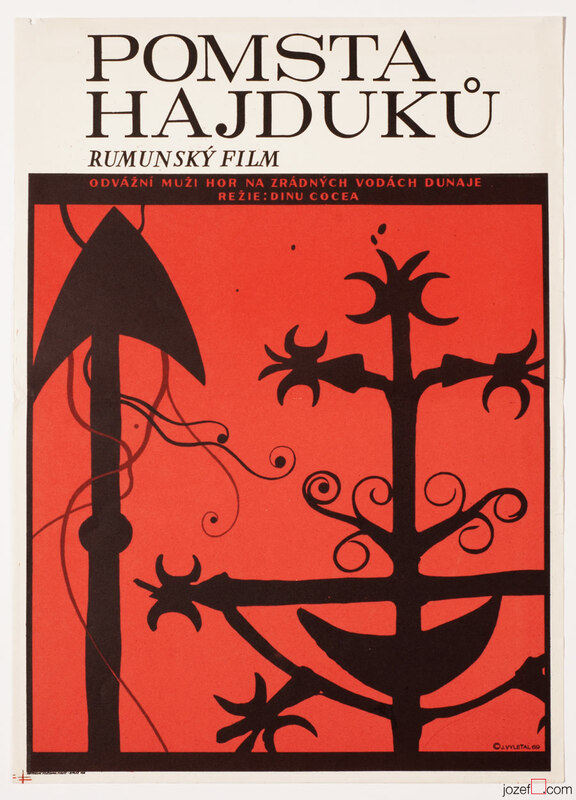 Stunning minimalist movie poster designed by award winning Czech poster artist Josef Vyleťal. Excellent 60s poster design for Romanian adventure film. Poster was previously folded. Few tiny cracks on edges and one larger 0.5cm crack in top left edge. Minor paper loss in top corners. Soft stain visible in some part on edges. Movie poster in A3 size. Excellent condition. Be the first to review “Movie poster – The Revenge of the Outlaws, Josef Vyleťal, 1969” Click here to cancel reply.